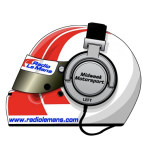 Steven Kane is this week’s guest, plus Sam Collins on the DTM/SuperGT merger. It's the Joy of Six, as John Hindhaugh is joined ..
John Hindhaugh talks World Superbikes with Nick Daman, Graham Goodwin ..
John Hindhaugh talks to Marcus Schurig about Mercedes' withdrawl from ..
Super GT's Suzuka 1000km, with commentary from Bruce Jones and .. 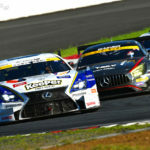 Round 5 of Super GT comes from Fuji Motorspeedway. Commentary .. Including a preview of the DTM season, with this week's ..
Tim and Nick are back, which means the usual features ..